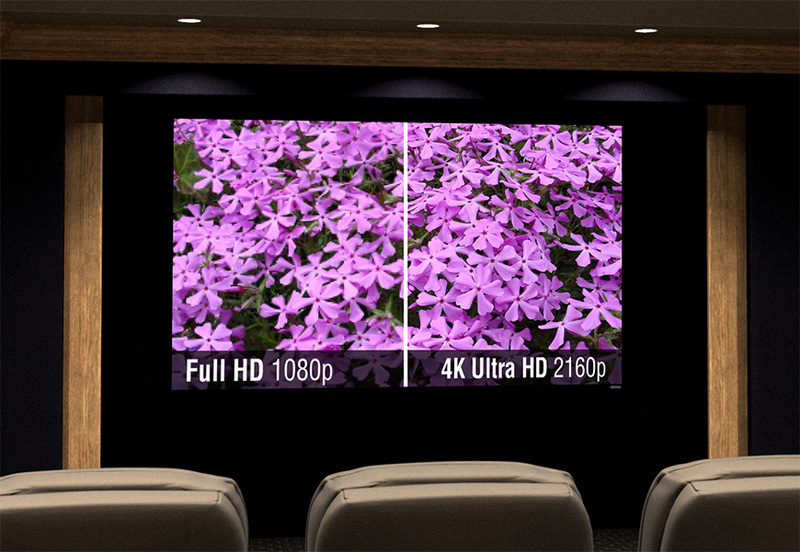 Want to update your home or office to accept 4K resolution? 4K resolution is the new platform for video, not unlike High Def (720P and 1080P) was many years ago. Whether you are ready for it or not, continual resolution updates are here to stay. "4K" refers to a video horizontal resolution of 3840 pixels x 2160 lines. The next generation will be 8K resolution which is 7680 pixels x 4320 lines. What does this all mean - unbelievable clarity of an image! Where issues arise is with the cabling (also known as the "pipeline") into/throughout your home or office. The pipeline plays a vital role in the signal being able to get to your electronics. Kozi Media Design is proficient at evaluating and creating solutions for its clients so that they may transition to the "smarter" and "clearer" future. To learn more, call Kozi Media Design at 1-877-746-5694 or send us an e-mail.